Reduce errors and increase profits with wealth management accounting automation. 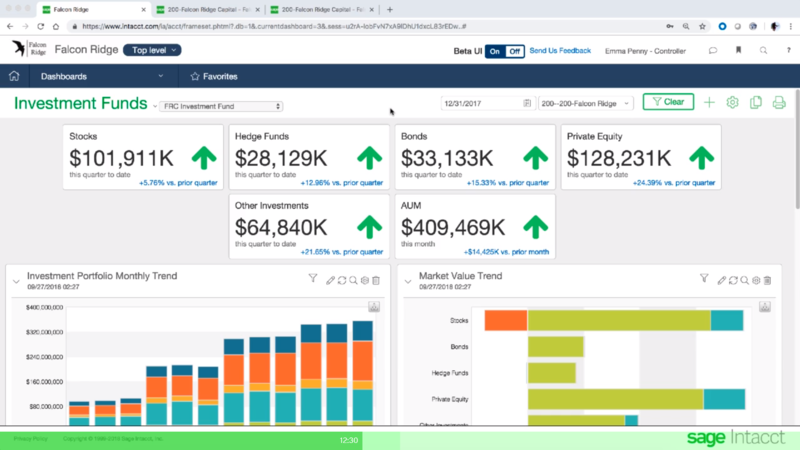 Investment management professionals who manage complex business entities need complete visibility across all operations with simple ways to analyze data. 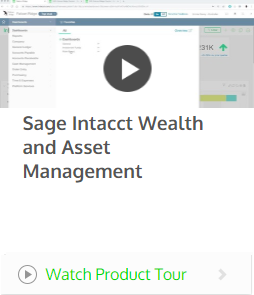 Wealth management accounting software, like Sage Intacct, simplifies complex reporting and quickly aggregates financial information across investment portfolios. Investment managers oversee their client’s real estate, equity investments and various businesses. They need to access real-time data and share reports across multiple entities, track financial data including P&L, budget vs. plan and cash flow. 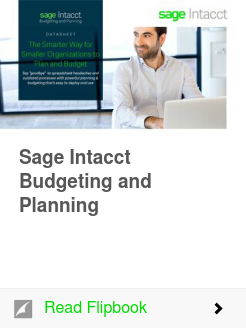 Sage Intacct Wealth and Asset Management with cloud accounting software enables wealth management companies to close faster, share dimensional chart of accounts, eliminate manual processes, and improve decisions with real-time business intelligence. Learn how to automate consolidation across multiple entities, save significant time and money, mitigate risk and grow the business. Tackle budgeting and planning challenges easily with model calculations like projected cash flow, sales, or revenue recognition options. Or calculate headcount expenses without spreadsheet errors. 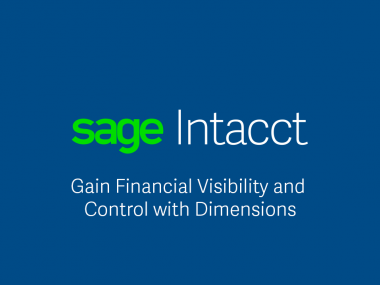 Increase control and reduce risk by tracking assets in a best-in-class cloud financial management. Eliminate data entry to your general ledger with a single set of data to simplify asset tracking and increase your accuracy throughout the complete asset lifecycle. Automate financial consolidation activities including currency conversions, inter-entity transactions, local tax reporting, and reporting across entities.